In 2016, the lead clinician (Dr N. Lewis Barned) from the National Pregnancy In Diabetes Audit (NPID) called for local diabetes teams, General Practices and Maternity Services to work together to help increase the awareness among women with diabetes that high blood glucose levels and a lack of preparation can increase the risk of adverse pregnancy outcomes. 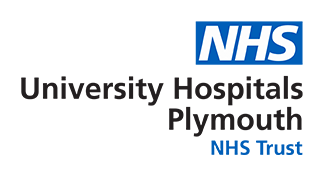 In the Plymouth Diabetes Centre on a Thursday morning a Pre-Conception Diabetes Specialist Nurse (DSN) Led Clinic is held. Women with diabetes who want to pursue a pregnancy are counselled and advised during a one to one, hour long consultation. To help improve pregnancy outcomes women are advised and supported to help maximise their blood sugar control before pregnancy. Medications are reviewed and regular blood tests are offered. Direct referrals can be made to other health care specialists within the multi-disciplinary team. Support and follow up are maintained through regular out-patient appointments, telephone calls and/or NHS email contact. Referrals to the Pre-conception clinic can be made via your GP.